New England encompasses USDA Hardiness Zones 4 to 6 on the United Stated Department of Agriculture zone map. While all of the six New England states—Maine, Massachusetts, New Hampshire, Vermont, Connecticut and Rhode Island—can plant the same vegetables, gardeners in different zones will plant and different times and may grow different varieties. Carrots grow well throughout New England, as both a spring and fall crop, since they dislike the hot humid summers common in the region. The University of Maine recommends scarlet nantes, nelson, sweetness II and bolero for Northern New England gardeners. Carrots can be eaten raw or fresh and contain high doses of vitamin A. Carrots mature in 60 to 75 days on average. Corn was already a staple crop in New England when European colonists arrived and continues to be grown throughout the region today. Gardeners can choose between yellow, white or bicolor sweet corn. The University of Maine suggests Daybreak, Seneca Horizon, Silvery Queen, Silver King and Argent for New England gardens. 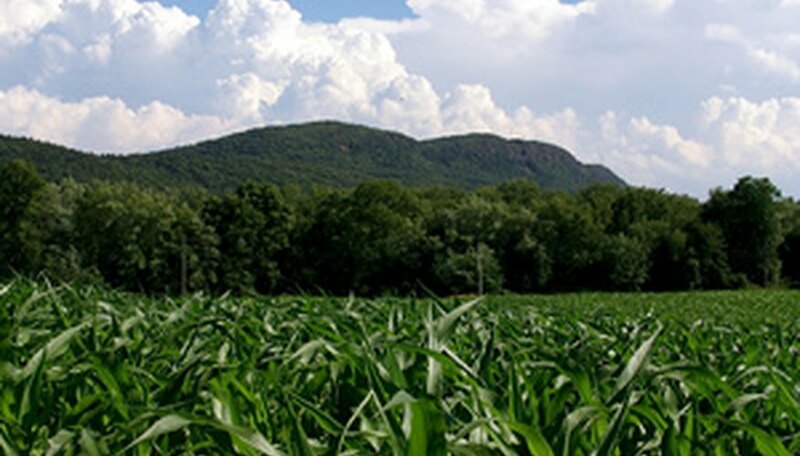 Corn requires a warm soil for germination, above 55 degrees F, and grows as a summer crop in New England. Green beans include both pole beans, which require trellising, and bush beans, which do not. They grow as a summer vegetable and are the second most-popular garden vegetable after tomatoes, according to the University of Illinois. Most beans mature in 55 to 65 days. Blue lake, Kentucky blue and scarlet runner are recommended fresh varieties for New England, while dried bean lovers will want to try the yellow eye, the traditional baking bean of the region. Tomatoes perform well in New England gardens in full sun. Gardeners can try heirloom varieties Pruden's purple, striped German and red brandywine, or cherry tomatoes sweet million or sun gold. Tomatoes mature in 50 to 80 days, depending on the variety.